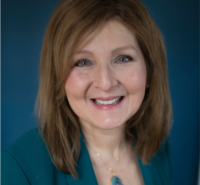 Kim Dell'Angela Ph.D. is an Associate Professor on faculty of the APA accredited Doctoral Program in Clinical Psychology at the Chicago Campus of TCSPP. A graduate of Rutgers University and Loyola University Chicago and a licensed clinical psychologist, her career has reflected her passion for the fields of healthcare and higher education and her commitment to collaborative research, practice and advocacy. During the 17 years on the faculty of Loyola Stritch School of Medicine, she held academic and medical staff appointments in Pediatrics, Anesthesiology and Psychiatry. Her clinical practice at Loyola focused on chronic disease, pain management, child development and protection, complementary/alternative/wellness health practices, developmental disabilities and behavioral health interventions. Dr. Dell 'Angela's research, teaching, grants, and program development have aligned with a focus on inter-professional practice. Her research has informed graduate medical education guidelines for workload, pediatric screening of developmental concerns, and protocols for chronic disease management , post trauma emergency medicine and nursing care. Her teams at Loyola received $265,000.00 in state and private grants to establish an interdisciplinary and inter-agency program to identify and care for child victims of sexual abuse. Dr. Dell 'Angela's served a 12 year appointment as vice chair and executive council member of Illinois Child Death Review Teams in Illinois. At Harper Community College, she led an Academic and Student Affairs division as the Associate Dean of Wellness and Director of the college's Health and Psychological Service Clinic. In addition to providing health and mental health care, prevention services and education programing for the student body of over 20,000 - this inter-professional outpatient clinic provided onsite occupational health and employee wellness services for faculty and staff. Her division and clinic also collaborated with community agencies to provide education, triage to social services, low cost prevention and health screening programs for those in the local community with limited access to healthcare service. Grants received by Dr. Dell'Angela supported a textbook loan program for students at risk of dropping our due to financial concerns, and supported campus smoking cessation programing and an initiative for a smoke free campus. She established the college's Early Alert/Threat Assessment team and worked with leadership to implement an All Hazards emergency response plan including pandemic flu response. In alignment with the clinic's focus on wellness, she integrated Strength based principles into clinic practices. Dr. Dell'Angela's career has also included substantial involvement in governance and accreditation activities. As Chair and Vice Chair of the University Faculty Council of Loyola University Chicago she lead the faculty through a successful multiyear renewal initiative under a new president. Dr. Dell'Angela has experience in state, regional and healthcare accreditation and certification including HLC/NCA, ACGME, LCME, WASC, APA, JCAHO, CAP and CLIA. She is a site visitor for the American Psychological association and recently led the Clinical PsyD program at TCSPP to a 7 yr reaccreditation in 2016. She has completed a certificate in mediation and graduate work in Organizational Development and received her MA in Legal Studies with a focus on Healthcare and Education law in spring 2015. She serves on review panels for HRSA grant programs and as a reviewer for "Professional Psychology Research and Practice" and other peer reviewed journals. Toomey, M., Dell'Angela, K. Brazdziunas, D. Hicks C. (2007). Autistic spectrum disorders: analysis of the child behavior checklist as a screening tool. Proceedings from the Pediatric Academic Society Annual Scientific Meeting. Toronto, Canada. Dell'Angela, K. (2004). Caring for the traumatized child. Emergency Nursing Pediatric Course Provider Manual (3rd edition). Emergency Nurses Association Press. Dell'Angela, K. (1997). The role of the clinical psychologist in acute pain management. Techniques in Regional Anesthesia and Pain Management. 1(2), 72-78. Nelson, C., Dell'Angela, K., Jellish, W. and Brown, I. (1995). Resident performance before and after night call as evaluated by an indicator of creative thought. Journal of the American Osteopathic Association. 95(10), 600-603. Dell'Angela, K., Skaredoff, M., Nelson, C. and Brown, I. (1992) Sleep deprivation and divergent thinking in anesthesiology residents. Anesthesia Education. 9(2), 13-14. Cioffi, P., Joyce, C., Lichtenberg, R., Dell'Angela, K., Schueneman, A., Marshall, W., and Dries, D. (1990). Lightning injury. Post-Graduate General Surgery. 2(3), 168-171. Dell’Angela, K, Arredondo, P., et al (2016). Towards a Healthier Nation: No Health Without Mental Health. [monograph].